On May 4th, 2017, The Two Hundred Club of Essex celebrated its 51st Anniversary…51 years of dedicated service to the dependents of police and Firefighters in Essex County and state troopers in New Jersey who lose their lives in the line of duty. The Club celebrated this milestone at its Annual Valor Awards luncheon at Nanina’s In The Park in Belleville, NJ with an extensive program. This year, we were grateful to acknowledge forty-one individuals who exemplified outstanding on-the-job performances. Sheriff Fontoura proceeded to inform the audience that 2016 was another costly year in terms of lives lost by brave law enforcement officers and courageous firefighters. Representing public safety departments across our nation, 144 law enforcement officers and 89 firefighters died in the line of duty. Sheriff Fontoura went on to say that while Essex County was spared our New Jersey neighbors were not as fortunate. Chief Engineer Richard Zadorozny of the Eatontown Fire Department on July 11th; Safety Officer Paul Price of the Audobon Fire Department on August 11th; Chief Engineer Daniel McCann of the Manasquan Fire Department on September 16th; F/F Joseph Bichler of the Evesham Fire Department on October 31st; Deputy Fire Coordinator of the Union County Office of Emergency Management on December 16th all suffered work-related heart attacks. Firefighter Alfred Stewart of the West Milford Fire Department was killed when he fell from a ladder at the station house while performing maintenance on November 6th and New Jersey State Police Trooper Frankie Williams was killed when his marked unit was struck head-on while responding to a call for service on December 5th. The Two Hundred Club of Essex County was honored to have The Honorable Ras J. Baraka, Mayor, City of Newark, as its guest speaker. 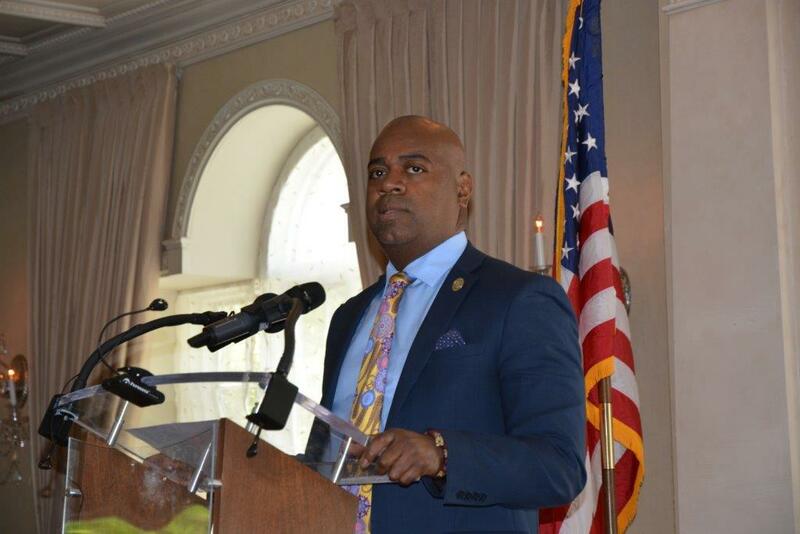 In his keynote address at The 200 Club of Essex County’s Valor Awards ceremony, Newark Mayor Ras J. Baraka highlighted the dedication to duty, professionalism and bravery of police officers and firefighters who, during times of crisis and danger, sacrifice their personal safety on behalf of their neighbors. He specifically cited the heroic actions performed by this year’s Valor Award recipients who at the risk of life and limb confronted armed suspects and entered into raging residential fires. The Two Hundred Club of Essex County proudly presented its Meritorious Service Award to the Montclair Fire Department Group 3 and Deputy Essex County Fire Coordinator and Millburn Battalion Chief James Boyle for their outstanding group rescue on December 3, 2016, which saved the life of a man trapped underneath an oil tank. RED ROCK CONSTRUCTION CO., INC. The Valor Awards ceremony took place on Thursday, May 4, 2017 at Nanina’s in the Park, Belleville, NJ. The 200 Club of Essex County presented Valor Awards to East Orange Division of Police, Officers Christopher Kyer and Segundo Marquez for their November 22, 2016 capture of an armed suspect who fired upon them. 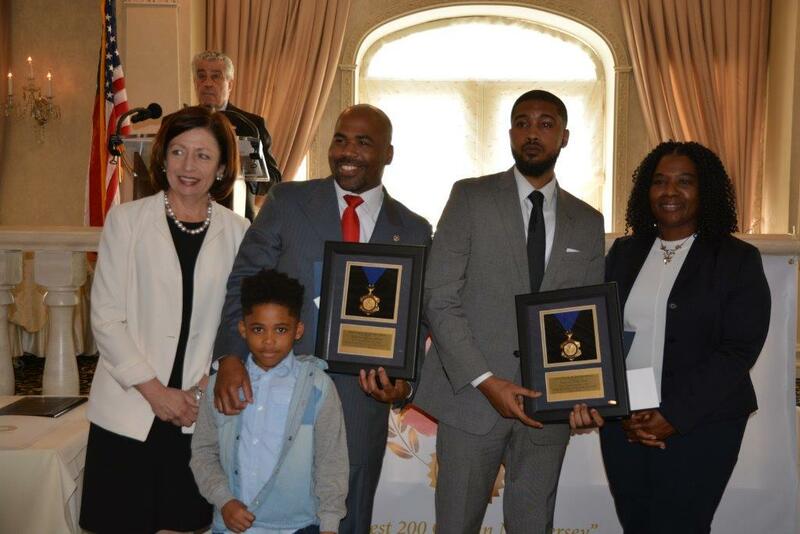 The 200 Club of Essex County presented Valor Awards to Essex County Prosecutor’s Office Detectives Rahsaan Johnson and Phillip Reed for their Dec. 6, 2016 capture of two armed suspects. 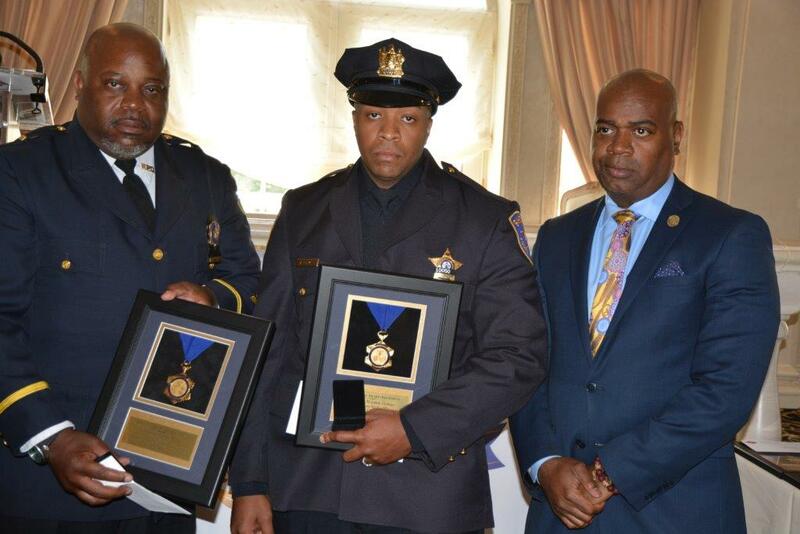 The 200 Club of Essex County presented Valor Awards to Newark Police Lieutenant Darrell White and Essex County Sheriff’s Detective Abdullah Holmes for their capture of an armed suspect. 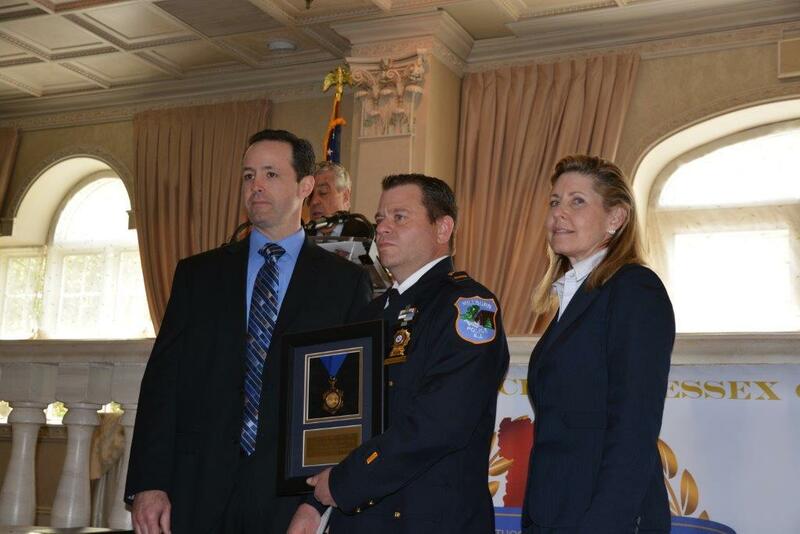 The 200 Club of Essex County presented its Valor Award to Millburn Police Detective Lieutenant David Bonney for his July 4, 2016 rescue of a young boy who had fallen into the Rahway River. 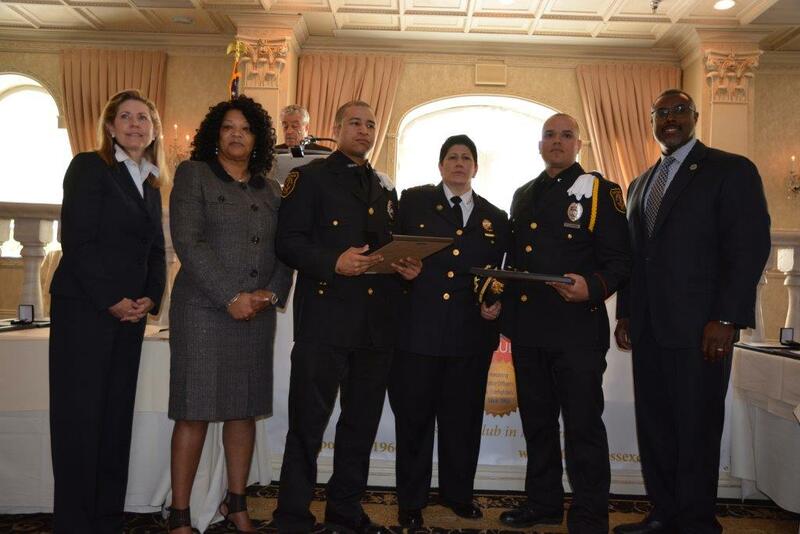 The 200 Club of Essex County presented Valor Awards to Millburn Fire Captain Christopher Beady and Firefighter Edgar Echavarria for their May 4, 2016 high angle rooftop rescue of an emotionally distraught and functionally challenged 8-year-old child from a residential fire. 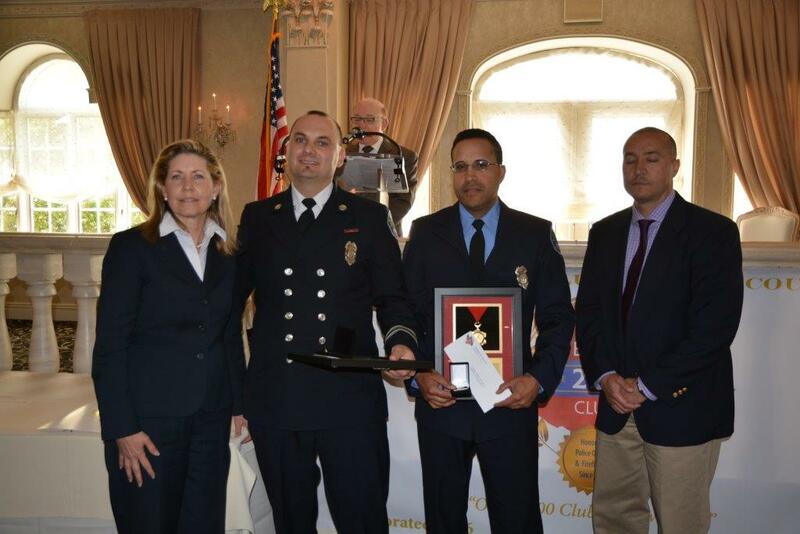 The 200 Club of Essex County presented its Valor Award to Newark Firefighter Jeremy Larena for his February 10, 2016 rescue on an unconscious male victim from a residential fire. The 200 Club of Essex County presented Valor Awards to Newark Fire Captain Carl Carpenter, Captain Helder Fonseca, F/F Kevin Daniel, Probationary F/F Louis Maisonave, Probationary F/F Ivan Encarnacion, Firefighter Carlos Martinez, F/F Jerome Fernandes and F/F Hilton Reynolds for their life saving actions on September 11, 2016 rescuing 3 adults, an infant and a dog from a burning three-story wood frame structure under extremely heavy fire and smoke conditions. 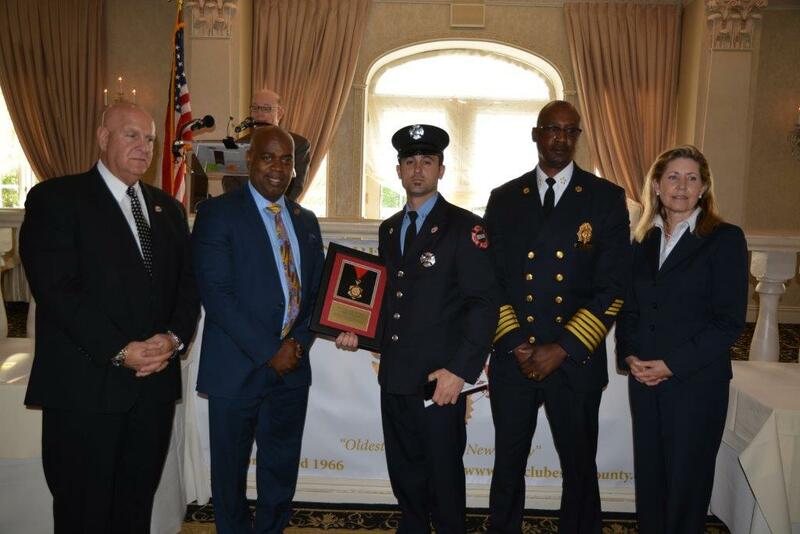 The 200 Club of Essex County presented its Meritorious Service Award to members of the Montclair Fire Department Group 3 for the December 3, 2016 trench rescue of a male victim who became entombed when a residential oil tank and its supporting dirt walls collapsed on him during removal of the tank. 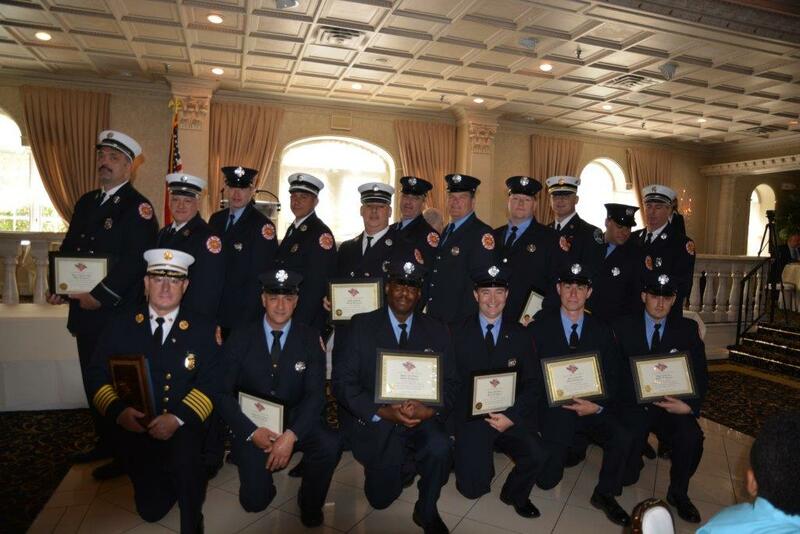 Meritorious Service citations were presented to Montclair Fire Department recipients: Lt. Antonio Acocella, F/F Scott Bowman, F/F Sebastian Covello, Probationary F/F Adam Duchinsky, F/F Keith Ferenz, F/F John Fierro, Lt. John Grapes, F/F Chris Herrmann, Fire Chief John Herrmann, Lt. David Hill, F/F David Jones, F/F Artie Karydes, F/F Charles J. Miller, Lt. Bill Morrison, Battalion Chief Greg Murray, F/F Kevin Palek, F/F Kurt Reinhardt, F/F Bill Roth, Captain Chris Russo, Lt. Kevin Sweeney, F/F Jeffrey Testa, F/F Levar Washington. Millburn Fire Department Battalion Chief James Boyle also received a Meritorious Service citation for his work on this trench rescue operation.